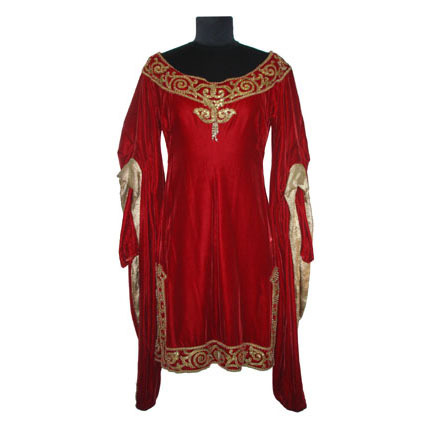 This red velvet tunic with gold-lined double sleeves and thick gold hand-embroidery was worn by the character Morgan Le Fay, played by actress Virginia Field in the classic 1949 musical A CONNECTICUT YANKEE IN KING ARTHUR'S COURT, starring Bing Crosby, Rhonda Fleming, and Sir Cedric Hardwicke. 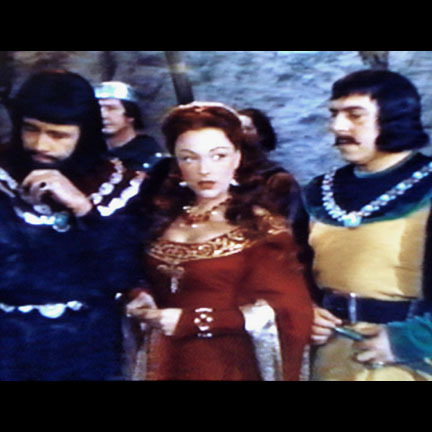 Miss Field wore this tunic during the welcoming ball thrown for Hank Martin (Crosby) by King Arthur (Hardwicke) when Martin arrives at court from the future and wins the favor of the king by performing magic tricks. 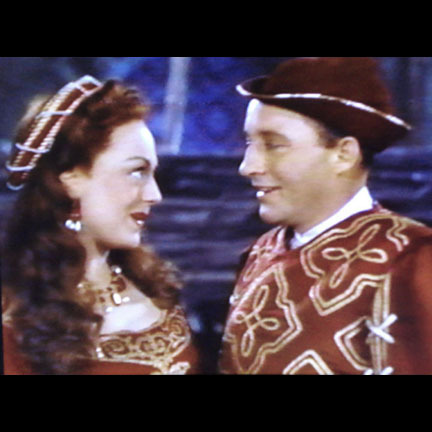 Le Fay and her henchmen, who are always looking to start trouble, spy on Martin and Alisande La Carteloise (Fleming) as they sing a duet on a balcony. 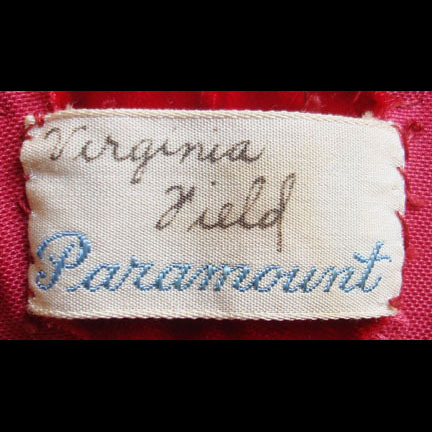 This garment comes with the original Paramount tag with Virginia Field clearly written in ink, is in excellent screen worn condition with only minor evidence of age, and comes accompanied by a letter of authenticity from the costume house.